In the 1950 FrankLoesser musical Guys and Dolls, based on the stories of Damon Runyon, Sky Masterson and Sister Sarah Brown walk the streets of New York City at 4am. They had just returned from an overnight to Cuba. This song captures the time very late at night that just touches the early part of the morning. For me, this conjures up a great image for me of my favorite time on a cruise ship. On my last cruise (a Carnival five-day cruise of the Western Caribbean from Miami in August 2016), I took advantage of the quiet nature of the ship early in the morning. Truth be told, it was only my second cruise – but certainly not my last (with one booked and yet another planned – hopefully – for next year). 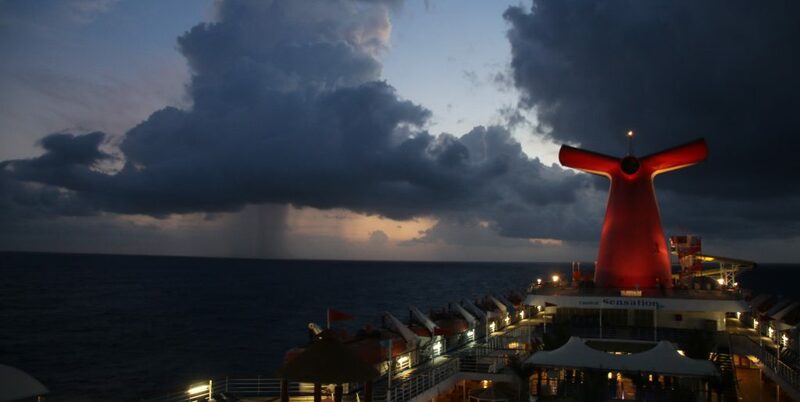 The early morning is a great time of day on a cruise ship. Cruise ships can be loud and crowded during the day, especially when you are not at port. 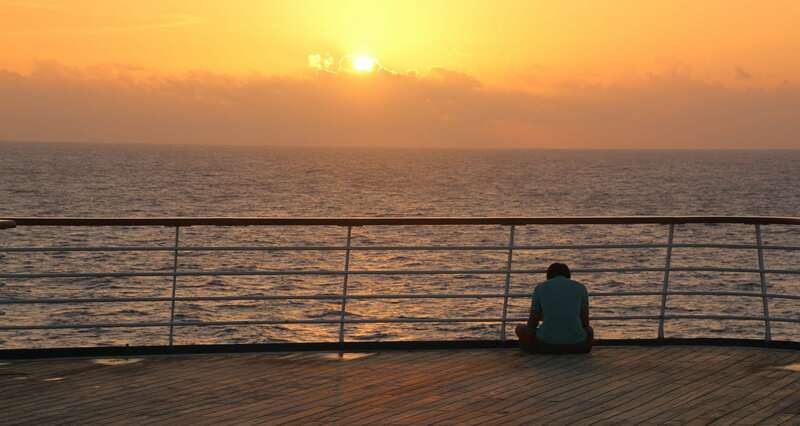 If you want some quiet or reflective time, there are relatively few places to find on the ship during the day. When I am on vacation, I often like to go out for a walk in the morning before wife wakes up. The same can happen on a cruise ship for sure! There is something truly serene about the ship in the morning. If the weather is nice, the ship seems to be effortlessly moving through the water in the cooler morning air. 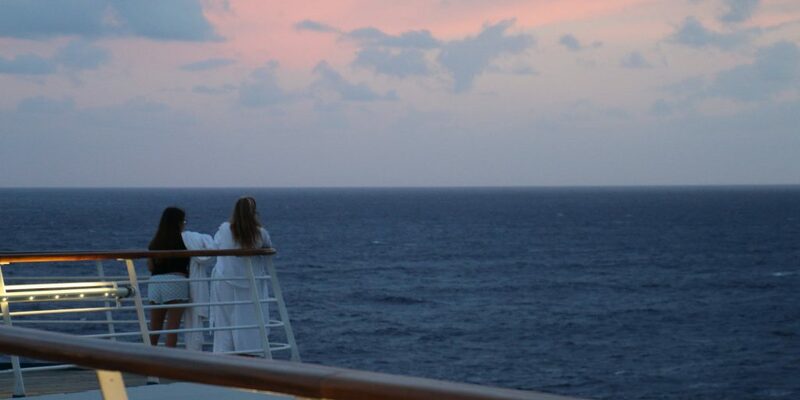 You can stand on the deck and hear little more than the ocean breezes. It is truly remarkable how quiet the ship is. There is nothing blaring on the loudspeakers, no games you are being coaxed into playing, no yelling around the pool – just quiet! It is a time for real contemplation. When you look around and see nothing but ocean, your mind can be clear with relatively few distractions. There are few things as beautiful as catching the early morning just to watch the sunrise and enjoy the ship before it wakes up. The views are spectacular as the sun breaks through the morning clouds. It is a great time to be out and about on the boat – if you never went to bed or wanted to get up early. The weather patterns out in the ocean are fascinating and make for an image that you rarely see on land. One of the features I really loved on the Carnival Sensation was the GPS coordinates and map showing where the ship was at all times. This was in the dining room on the Lido Deck. Even though you might not arrive to port until 8 or 9am, you can often see the coast well before arrival time. And there is nothing quite as much fun as approaching port early in the morning. Well, maybe there is. We were hugging the coast of Cuba when I noticed a light breaking through the morning sky. We were passing the Faro Paredón (Ciego de Avila province, Cuba). It was remarkable to see that light shining from a country that most of us Yanks could not visit until recently. The light shined for all ships that could see the light from this historic 1859 lighthouse. Speaking of the dining areas on the Lido Deck, on the Carnival cruise we were on, they set-up food for breakfast starting around 7. At all times, you do have access to drinks (coffee, iced tea, lemonade and water) and the 24 hour pizza (which is surprisingly fantastic). This is especially wonderful if you are reading or writing. 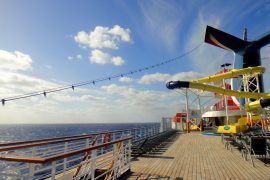 I would spend part of the morning at the dining room on the Lido Deck where I would enjoy a cup of coffee or two as I read, enjoyed some puzzles or wrote. There is nothing to keep you from taking your coffee onto the deck and enjoy the morning. So this is something that I did often on my mornings aboard the Carnival Sensation. One of the things that I noticed early in the day is that you have an opportunity to talk to crew. While the crew on our Carnival ship was very friendly, they became chattier in the early morning. A few crew members and I would talk cameras in the morning as they saw my camera around my neck taking pictures of the sunrise. I talked with more than one crew member who was coveting a Canon DSLR and was asking what I thought of the model I had. As I was enjoying coffee one morning on the Lido Deck, one crew member asked me to help with a birthday greetings he was sending to his fiancee, Siska – who he had not seen in 4 months. He wrote up a sign and asked guests to hold it while he took their picture. The sign wished Siska a happy birthday. With crew on the ship for 6 to 8 months at a time, missing birthdays of loved ones is a common occurrence. I had the crewman take a picture of me holding the sign – but I am kicking myself for not taking a picture of him holding that sign. I hope his fiance was surprised and delighted for her birthday. This might not be everyone’s cup of tea, but it is a great way to show appreciation to the crew who have a hard job for sure. 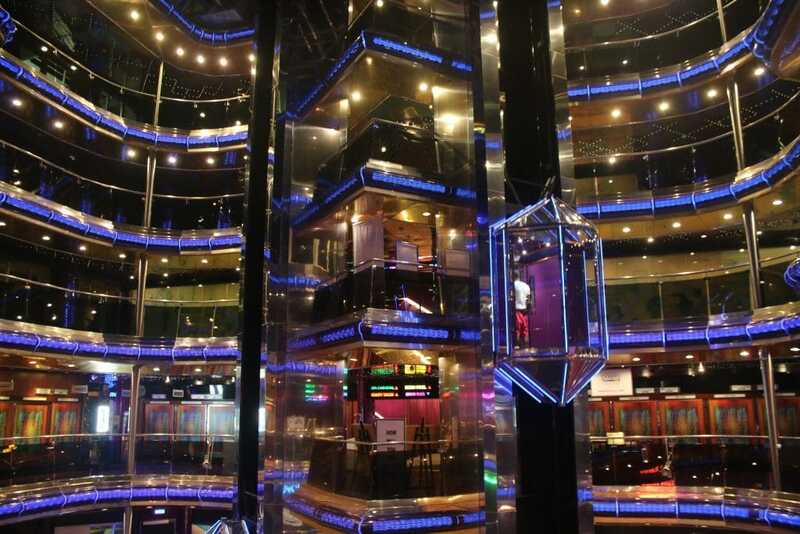 On any ship, the feel can be claustrophobic at times. While you can retreat to your room, they typically are quite small and if your companion wants to sleep in, then you can’t really do what you like. So walking around can give you a nice time to see what is going on before the ship’s activities get moving. It feels as if you have the entire ship all to yourself! 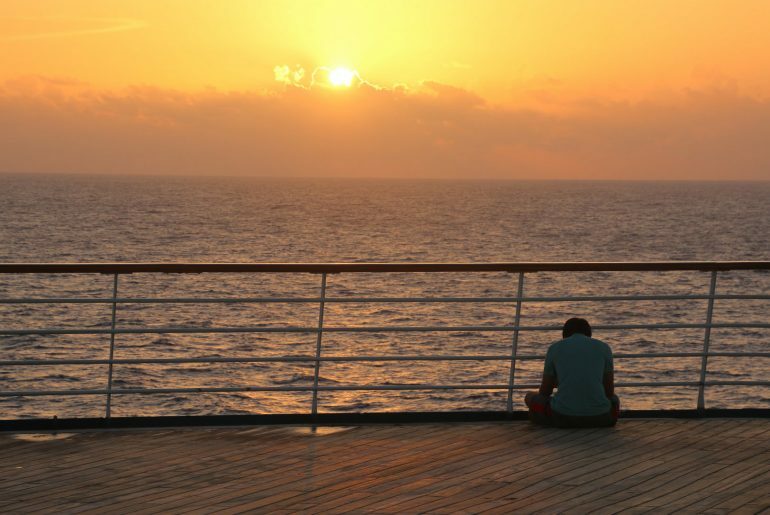 So even if you think that you should never get up early when you are on vacation, I think there are some good reasons to get up early on your next cruise! Emma says: Amazing! This makes me miss being on a cruise so so much and makes me almost wish that I hadn’t spent so much of my time on cruises asleep. I promise I will try and get up one day (at least once). I love all of these photos, it’s really lovely to see the ship so quiet too. The story about the staff member and his fiance is just the sweetest! I bet they like working when all of the guests are still asleep, a little bit of calm before the storm if you will. Corey Seeman (aka Squirrel man) is the director ofKresge Library Services (Ross School of Business at the University of Michigan, Ann Arbor), a position he has held since 2006. He is also an avid photographer whose work has been shared via flickr. 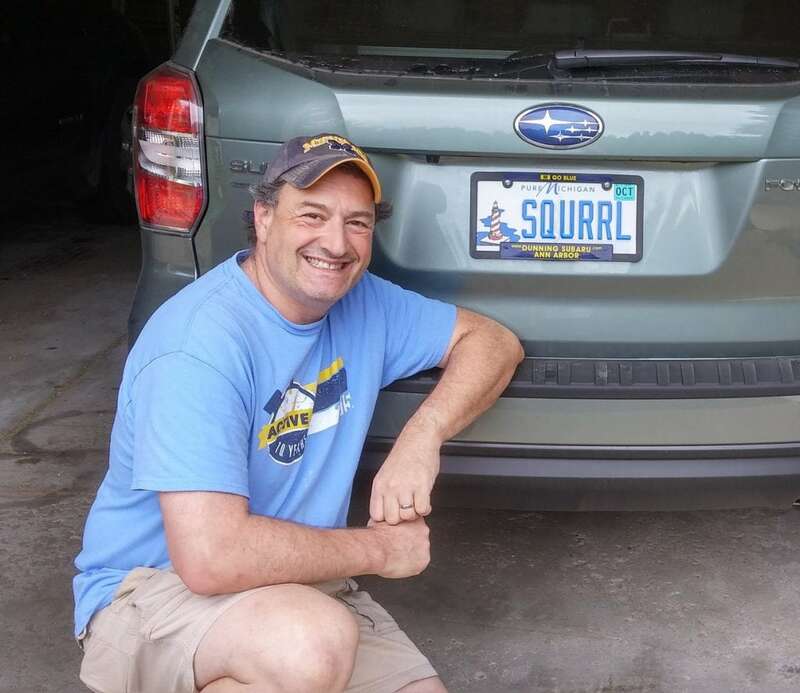 In particular, he is an avid photographer of the campus squirrels at the University of Michigan in Ann Arbor. He is married with two adult children (so he is kinda old). While he has written a great deal about libraries, he is trying a variety of fun fiction and nonfiction writing. Visit his home page for links to all his ‘stuff’. Hey! I'm Emma. 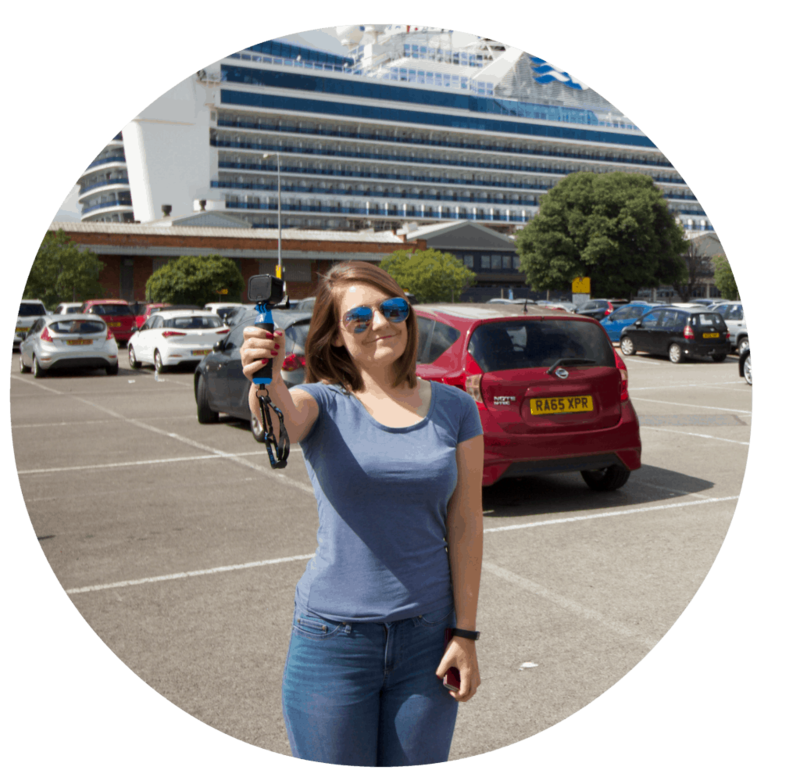 A cruise blogger, YouTuber and founder of the 'Cruising Isn't Just For Old People' Facebook community. 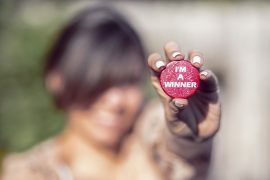 Winning a cruise, or two! Tracy’s story. I love this time of day too, it is so peaceful and love that the ship is so quiet. However Paul is not so keen and have trouble dragging him out of bed! Great post! I couldn’t agree more. Thanks for this reminder. Hey! I'm Emma, a 25 year old cruise blogger and YouTuber from the UK. We're building a community here of likeminded, super friendly cruisers and we would love you to be a part of it, no age limit of course! Check out my YouTube channel here for ship tours, cabin tours and daily vlogs! Join the conversation and chat with us! 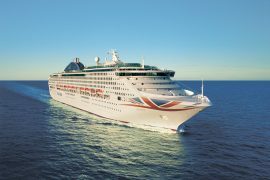 I’ve booked a cruise! 11 clues + the big reveal!